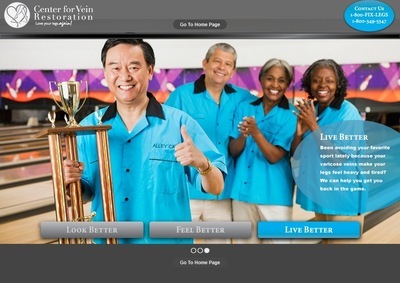 Center for Vein Restoration is a group of private American medical clinics treating varicose veins and spider veins – conditions that affect more than 30 million Americans. 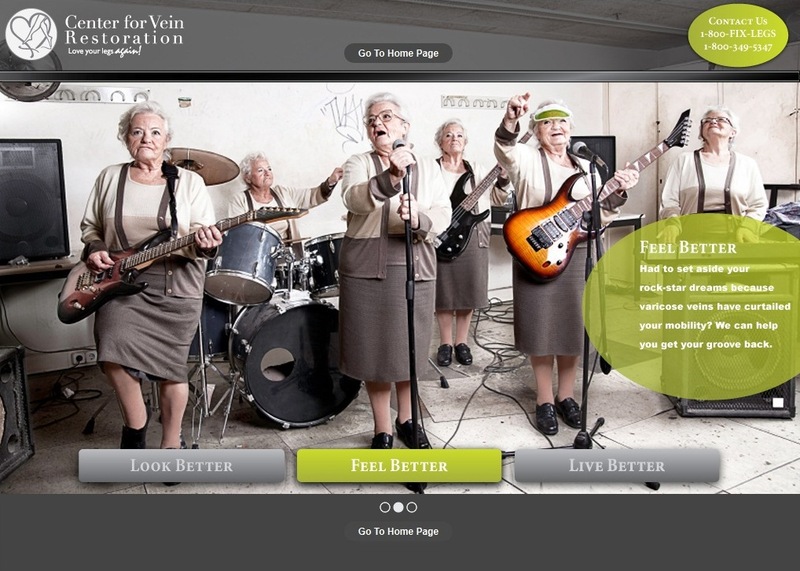 Essential, updated patient education sections such as vein health, procedures, insurance info, etc. 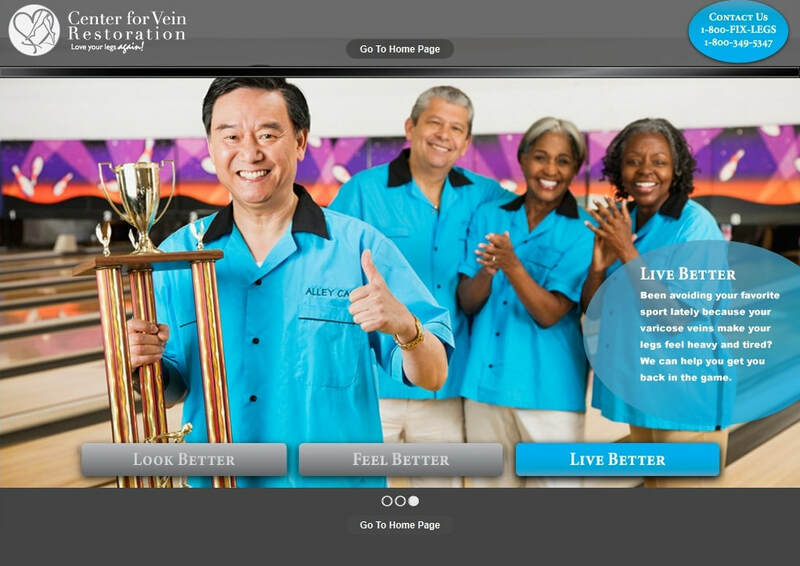 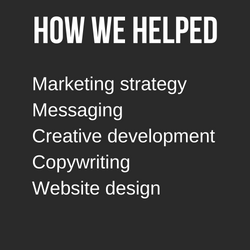 Creative components included imagery from the "Lifestyles" campaign to continue to tell stories of real patients who might utilize Center for Vein Restoration -- including special splash pages that rotate through the images before entering the main site. 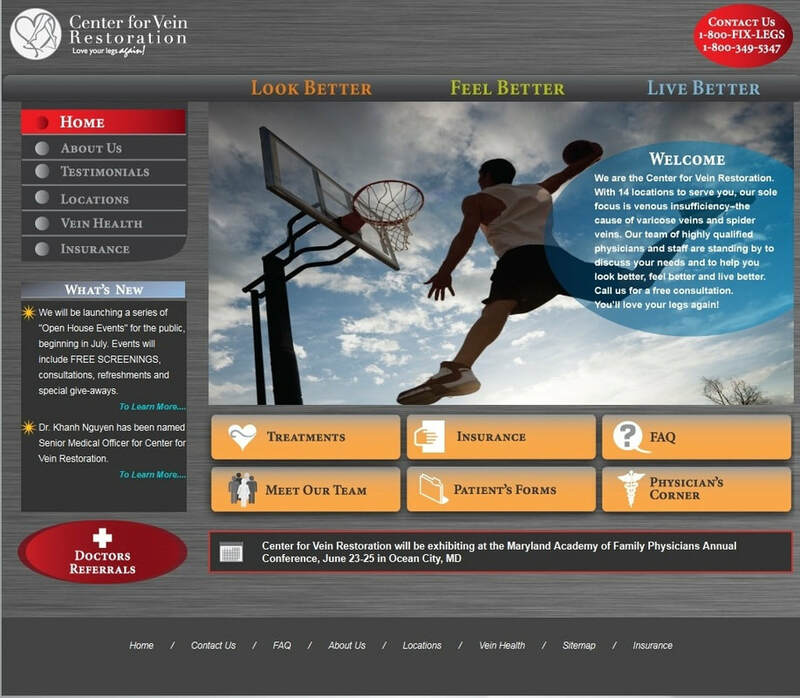 Colors and graphic elements were fresh and engaging and a radical departure from traditional "white coat" shots of physicians and expected healthcare colors like blue and green.